Here's some interesting news! 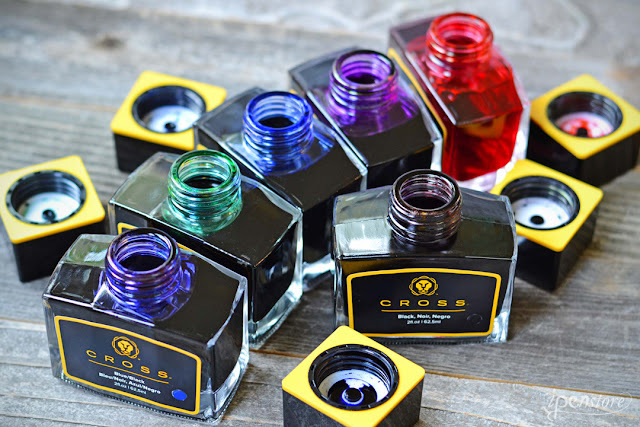 Cross has announced that their newly designed Green, Purple, and Red fountain pen inks are manufactured in Japan - so it's very high quality Japanese ink. 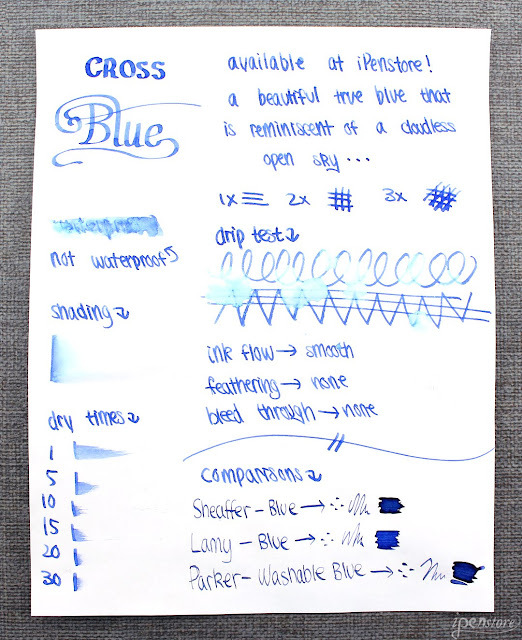 The Blue, Black, and Blue-Black are manufactured here in the USA. 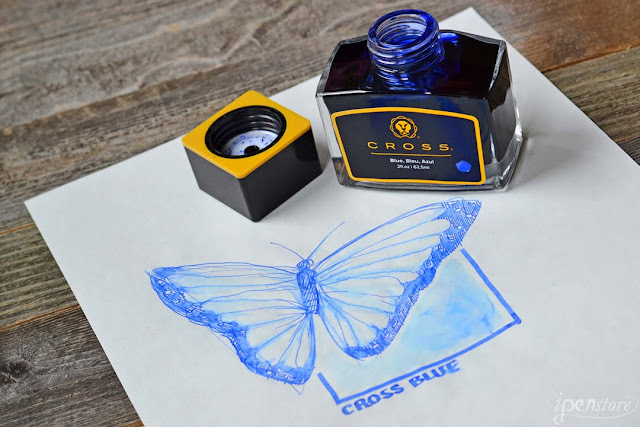 This is an excellent collection of inks from Cross. 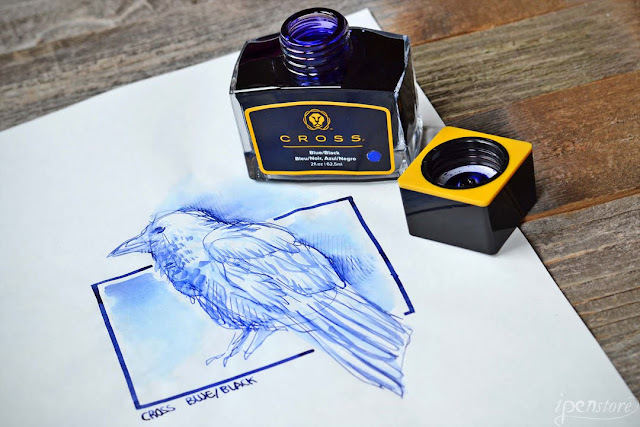 The thick, clear glass bottle is sturdy and substantial, yet still manages to be very elegant. 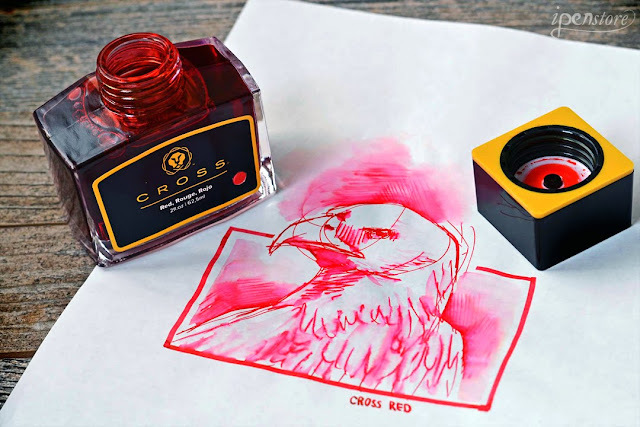 On the top of the cap you'll find an embossed logo of the Cross lion. This is a bottle you'll be proud to display on your desk. 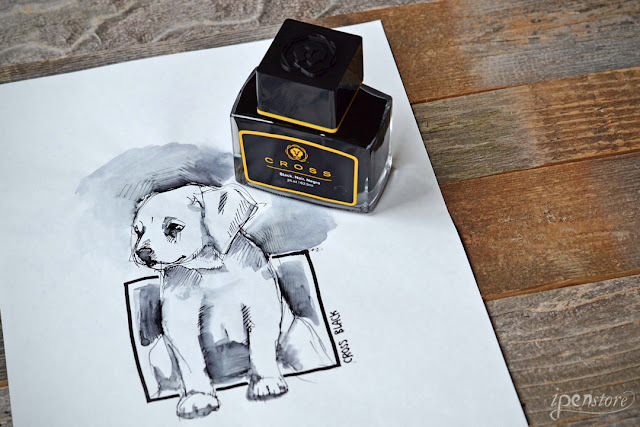 Inside the beautiful bottle, you'll find an equally beautiful ink. 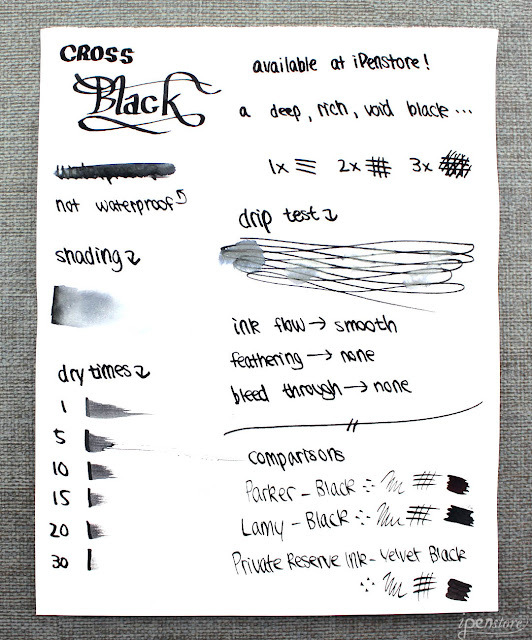 Often times when testing a collection of inks, we'll find that some colors and formulas are stronger than others. That is not the case with these inks. There is not a weak link in this collection. We immediately noticed that each color is very saturated and bold. 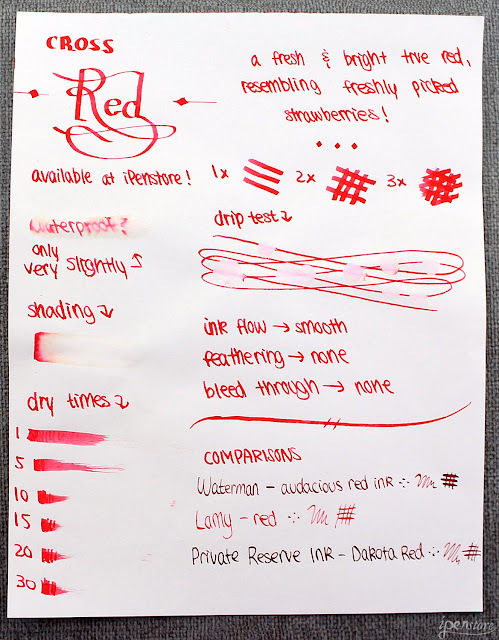 During our test, there was no feathering or bleed through. 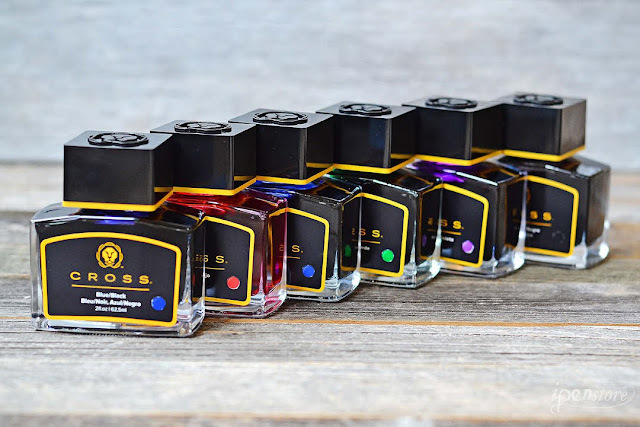 These inks also have a quick dry time, which can be hard to find with colors so rich. The ink also cleans up well. 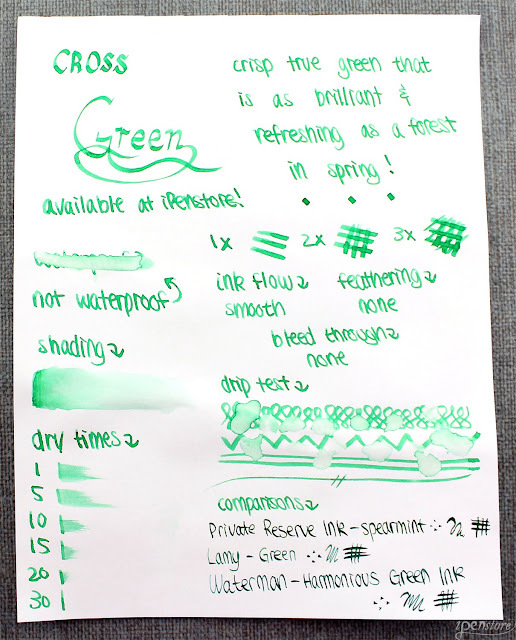 We found it easy to quickly clean our fountain pen when switching to another color. It was a tough decision, but we did finally settle on a favorite. 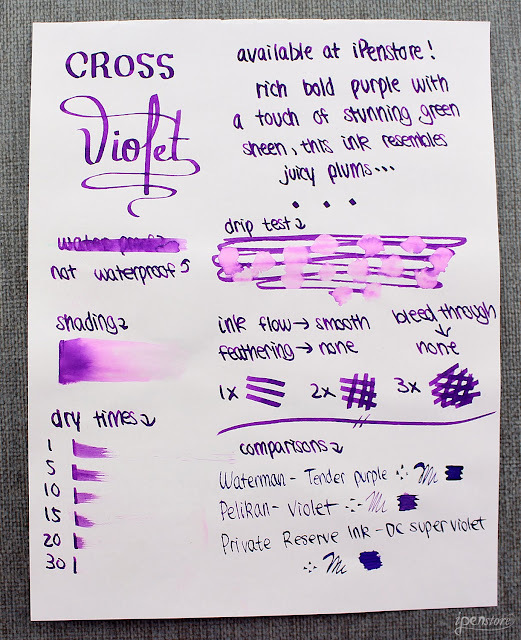 The Violet ink is especially vivid. 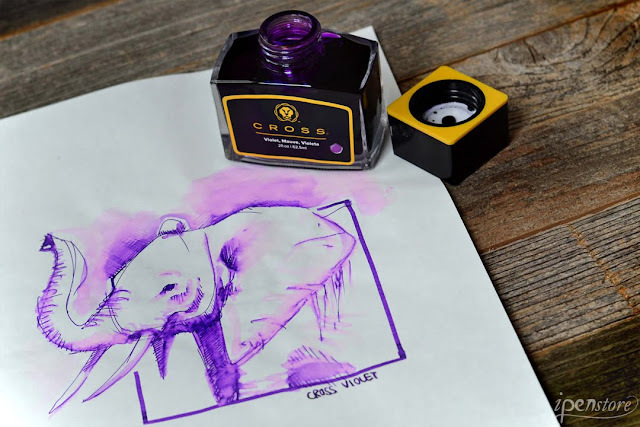 Unlike some other violet or purple inks, this is not too dark, which allows the color to pop off the page. 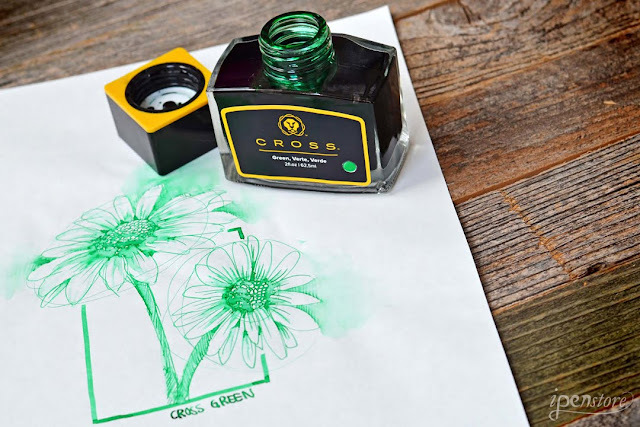 Also, if you look at just the right angle, the violet ink has a beautiful green sheen to it, which further enhances the color. 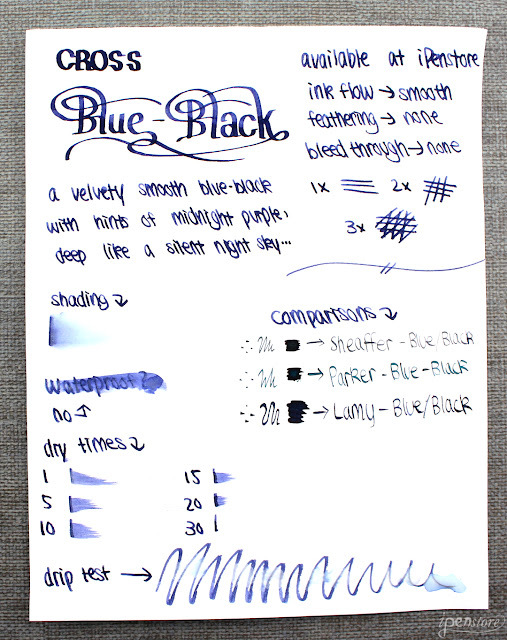 Read on for our ink test results for each ink!